Darn-It! is the cleverly named tailor shop owned by Self Edge. Located in San Francisco, Darn-It! is the only free-standing space that does not share the company name, making it unique. 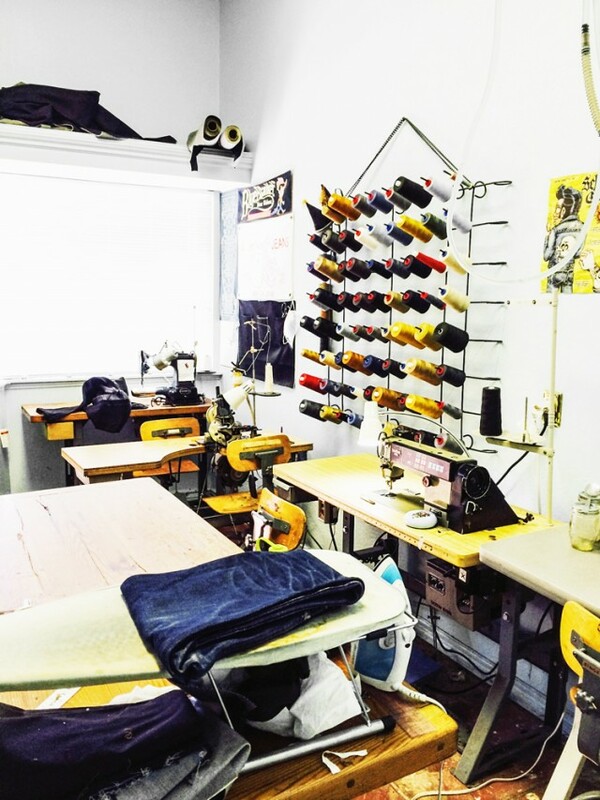 Although Self Edge SF has offered hem and repair services for many years now, it wasn’t until February 2013 that Kiya Babzani and Rain Delisle officially opened Darn-It! and launched the blog, Indigo Proof. Rain is the full-time manager and head tailor at Darn-It! and curator of Indigo Proof, a visual diary tracking her progress as a repair specialist. The Boston-raised fashion design student moved to San Francisco close to three and a half years ago to pursue her passion for design. I fell into denim in San Fran serendipitously… I worked with the previous contracted tailor for Self Edge, wandering into his shop after passing it on the bus ride home. During her studies, Rain presented a collection focusing on the different silhouettes and fabrication methods of the blue jean. However, it wasn’t until she began working in San Fran that she would learn about ‘factory sewing’ and sewing without pins, which, she says, “horrified the fashion student in me”. 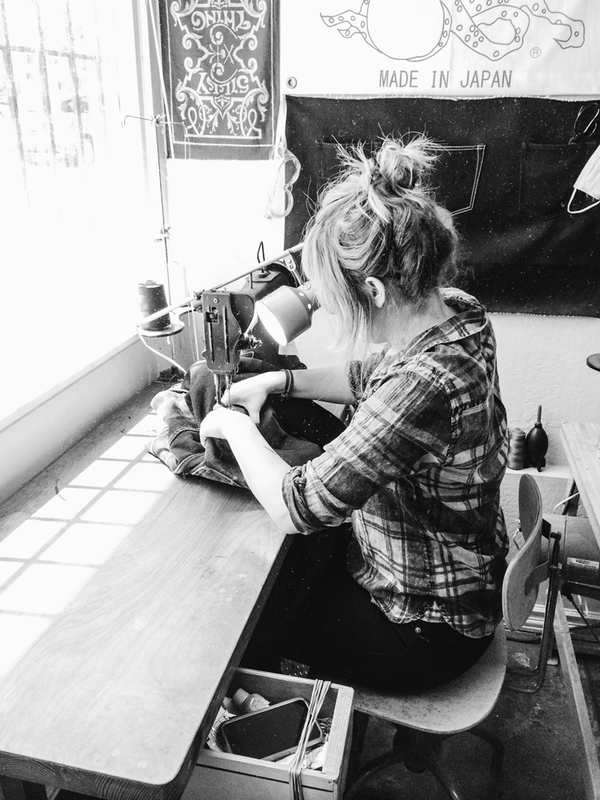 Rain first started contracting for Self Edge in December 2012– working a retail job by day and hemming and repairing jeans by night in a warehouse on Valencia Street. Meeting Kiya was a game changer. I literally started working for him just hours after we met… We were finalising the details for the future Darn-It! over dinner the very next night. Two months later we were open and I now run Darn-it! The huge warehouse, formerly an auto shop, had just three machines that sat side by side, an automotive scissor lift used as a cutting table, and no heating… Fortunately for Rain this was only temporary, eventually relocating to a more ideal space. Darn-It! is no ‘one hour hem’. 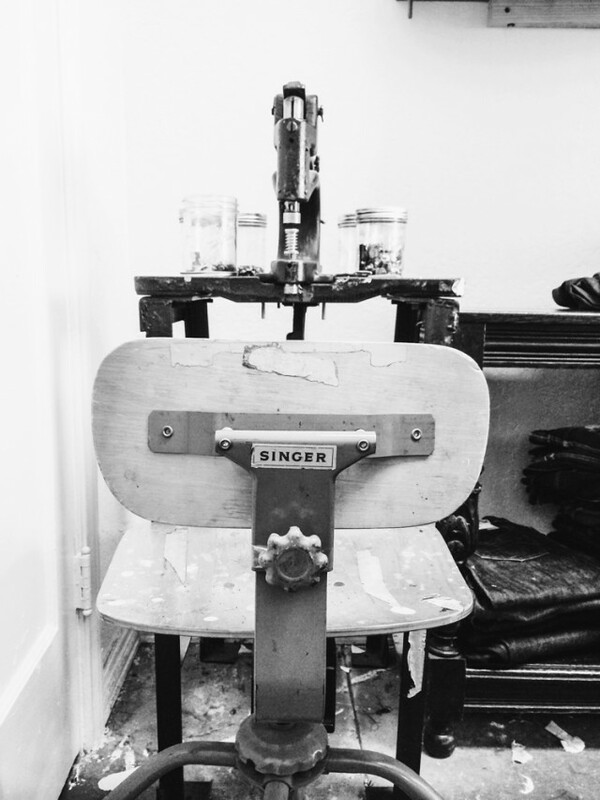 Kiya and Rain source and use only the best machines to get the most authentic result for your repair; machines such as a 1950’s Singer Darning machine, Brother E-40 Industrial Sewing machine, Union Special 43200G Chain Stitch machine and a 1920’s Kick Press. There is no end to what repairs can be done at Darn-It!, having recently acquired a Juki 5-thread Overlock machine. I always want more machines! I’d really like to get another single needle and I’d love to have a bar tack machine. Ideally, I would eventually have every machine needed to do an accurate repair, replicating original stitching as closely as possible. It is because of this attention to detail that Rain has in excess of a hundred pairs of jeans ready for hem or repair on any day! With help from her assistant, Alex Lunt, and some KISS tunes turned all the way up to eleven, Rain hems, repairs and sends out up to thirty pairs of jeans daily! Alex, the self appointed ‘hem girl’ and Arctic Monkeys fan, started at Darn-It! in November 2013, taking over hem alterations, allowing Rain to focus on growing the shop identity. 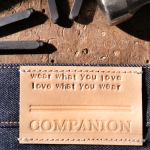 Collaborating with local businesses to produce limited production pieces. 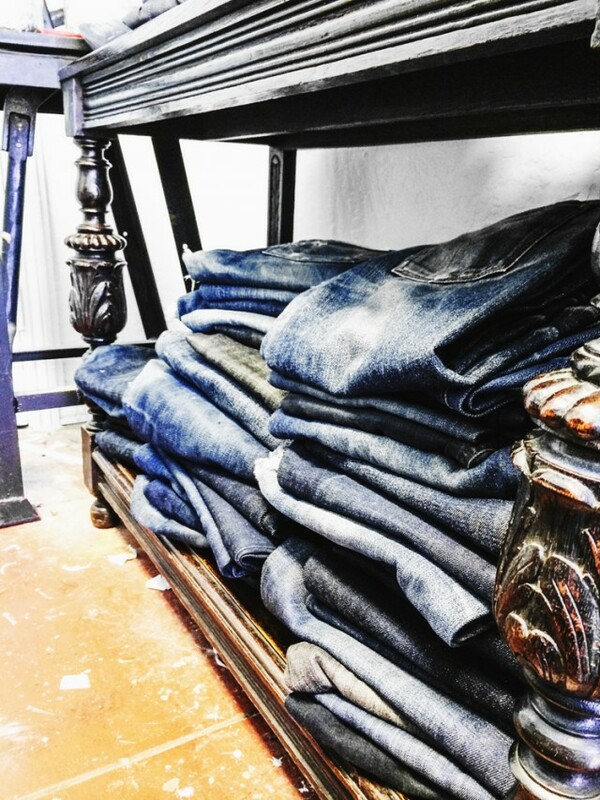 Due to the already high number of jeans being received daily, the repair service is unfortunately restricted to residents of San Francisco, only accepting repairs via brick and mortar stores. However, Self Edge does offer hem alterations to all jeans purchased both in store and online. 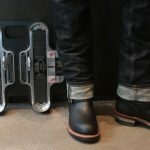 For those fortunate enough to live in SF, or one of the other three cities where you can find Self Edge (LA, NY and PDX), and are in need of some denim repair, get in quick! The best repairs are those made just as holes start to form. Photography courtesy of Alex Lunt.